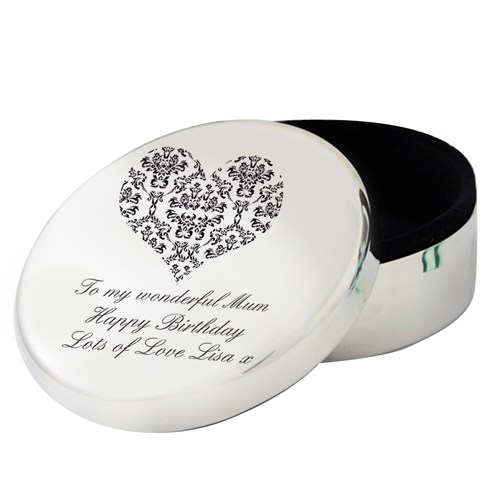 Personalise this Damask Heart Round Trinket with any message over 3 lines up to 20 characters per line. Ideal for Wedding gifts, Engagement gifts, Anniversary presents, Valentines Gifts, Birthdays. Personalise with any message over 3 lines up to 20 characters per line.